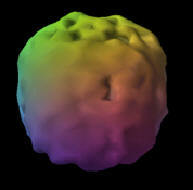 You can view rotating SPECT images on his website. 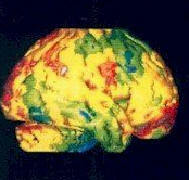 Click here to view an image of a "brain on drugs." On his PBS infomercial, Amen showed some slides of (non-rotating) brains that had been morphed by software to produce "holes" where little or no blood was detected flowing. He showed slides of what he said were diseased brains and healthy brains. He told his audience that these SPECT images helped him diagnose all kinds of things. He said he's done thousands of them. I suppose we were to infer that he must know what he's talking about. Scientists are reading an awful lot into brain scans these days, and much of what they are seeing may have originated in their own brains, confirming their biases. I had to wonder: is Dr. Amen ahead of the curve or another self-deceived promoter of quackery. I wasn't fifteen minutes into this program before I was asking myself: why is this on PBS? I paused the program, thanks to TiVo, and did some googling before returning to the TV to find that Amen was live in the studio of my local PBS station. This was fundraising night and this "great show" was just one of the many "great programs" KVIE brings to its Sacramento area audience throughout the year. And weren't we lucky to have the great man himself in the studio to promote his own program! Yes, it turns out that Amen produced the program and it really was an infomercial, though it was not billed as such. No PBS station anywhere had anything to do with the production of Amen's program. This guy is no dummy. PBS, on the other hand, looks like a dummy to me. It is because of programs that feature snake oil salesmen and purveyors of woo that I no longer support public television. I don't care if a station puts on an infomercial, but I care if my tax dollars are used to make the infomercial available to a large television audience. Why should the taxpayer subsidize these programs? And why do we let PBS get away with the ruse of "underwritten by" or "with support from" when these are just paid advertisements by another name? Anyway, Amen, Wayne Dyer, Suze Orman, Andrew Weil, and others of like ilk might draw in PBS subscribers, but they make my resistance even stronger. Make these folks pay for the infomercials for their books and products like advertisers do on commercial television. What I found by googling Amen was that he's a psychiatrist who is promoting ideas about keeping the brain healthy and improving mental functioning. Most of his ideas are either so well known as to be considered common sense or they are notions that don't have much scientific backing. He recommends that we exercise, both physically and mentally, that we not smoke or drink alcohol to excess, that we eat well, and that we do what we can to control the stress in our lives. Nothing new here. But then he suggests that these modest proposals joined with taking supplements, which he just happens to sell from his website store, can ward off or halt Alzheimer's, among other things. You won't find too many scientists agreeing with that hopeful claim. I have been following the news on supplements for the past fifteen years and the bulk of the evidence strongly indicates that there is no benefit to most people from taking supplements unless they are specifically called for because of a known deficiency. My mother, who was a registered nurse, wasted a lot of money on vitamin C tabs for our family. At the first sign of a cold, my sisters and I were like trained seals and headed for the vitamin C jar. Amen Clinics is dedicated to improving the lives of every family we serve through education, the latest advances in neuroimaging, and individualized treatment plans. We believe in using the least toxic, most effective treatments for our patients, and use a variety of interventions from natural supplements, medications, dietary interventions and targeted forms of psychotherapy. Amen Clinics Inc. specializes in brain health and innovative diagnosis and treatment for a wide variety of neuropsychiatric, behavioral and learning problems among children, teenagers and adults. Established in 1989 by Daniel G. Amen, M.D., the center has a national reputation for utilizing brain SPECT imaging for a wide variety of neuropsychiatric problems, including ADD, anxiety, depression, autism and memory problems. Who wouldn't want the least toxic treatment? Are other doctors giving their patients toxic drugs when natural supplements with no adverse side effects would serve them just as well? That seems to be the implication, though it's absurd. Using SPECT might be innovative, but is it as useful as Dr. Amen claims? "SPECT scans are not sufficiently sensitive or specific to be useful in the diagnosis of A.D. [Alzheimer's disease]," neurologist Michael Greicius, who runs the Stanford University memory clinic, and has a special interest in the use of functional brain imaging in the diagnosis of A.D., tells me. "The PBS airing of Amen's program provides a stamp of scientific validity to work which has no scientific validity." Burton also castigates Amen for his supplement recommendations for the prevention of Alzheimer's. The recommendations seem based more on wishful thinking than compelling scientific data. What about these SPECT scans for all the other things that Dr. Amen treats? He uses them in his diagnosis and treatment for many disorders: attention deficit disorders (ADD), mood disorders, anxiety and panic disorders, autistic spectrum disorders, obsessive compulsive disorder (OCD), substance abuse, toxic exposure, brain trauma, memory problems, temper problems, and relationship and marital problems. Yes, he treats Alzheimer's and does marriage counseling. That's a pretty wide playing field. Can these scans really provide vital information about these disorders and problems? Can they really provide valuable data regarding appropriate treatment or counseling? To answer these questions, we must look at the control studies that have been done to see how effective SPECT scans are in diagnosing various brain disorders. Unfortunately, the studies don't exist. We have to rely on Amen's evaluation of his personal experience with thousands of scans over many years. The self, however, is not exactly an unbiased observer of personal experience. The potential for self-deception here is enormous. A critical thinker would rather see references to controlled studies than the self-serving testimonials from satisfied customers that one finds on Dr. Amen's website. No wonder one searches in vain to find Amen's approach recommended by other psychiatrists. He truly is a voice crying in the wilderness of his own making. But, hey, Amen's been featured on The Today Show and The View, and I predict that in 2009 he will get a spot on Oprah, thereby cementing his place in the annals of woo along with Dr. Oz, Dr. Deepak Chopra, and psychic John Edward. Why wouldn't Oprah have him on? After all, he's been on PBS. 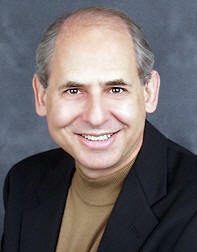 A Skeptical View of SPECT Scans and Dr. Daniel Amen by Harriet Hall, M.D. Dr. Daniel Amen's Response to Criticism on Quackwatch by Harriet Hall, M.D. SPECT Scans at the Amen Clinic - A New Phrenology? by Harriet Hall, M.D. This Is Your Brain on Politics (No, it isn't, but this self-serving article was published in the Op-Ed section of The New York Times) To find out why this Op-Ed piece is bogus read Daniel Engber's "Neuropundits Gone Wild! Befuddling brain science on the opinion pages of the New York Times" Here's a snippet from Engber's response: "Their imaging study has not been published in any science journal, nor has it been vetted by experts in the field; it can't rightly be called an 'experiment,' since the authors weren't testing any particular hypothesis; and the arbitrary conclusions they draw from the data aren't even consistent with their own previous research." See also Politics and the Brain, a rebuke of "This Is Your Brain on Politics" signed by seventeen cognitive neuroscientists.